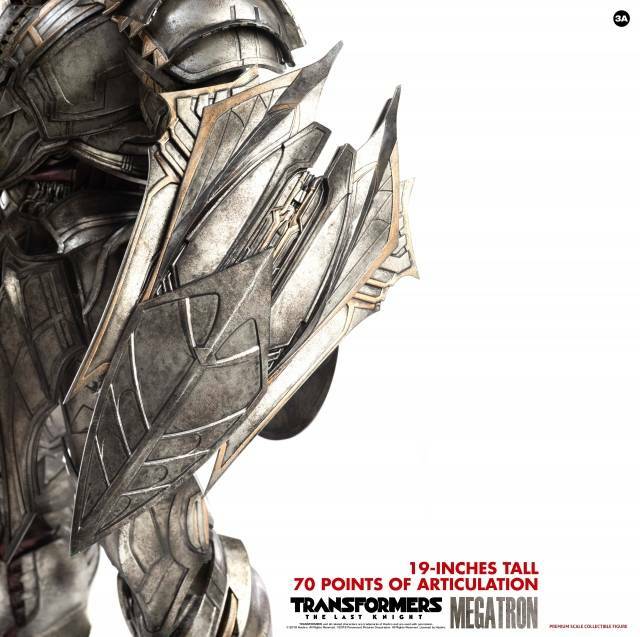 Enter ThreeA's Premium Collectible format TLK Megatron! 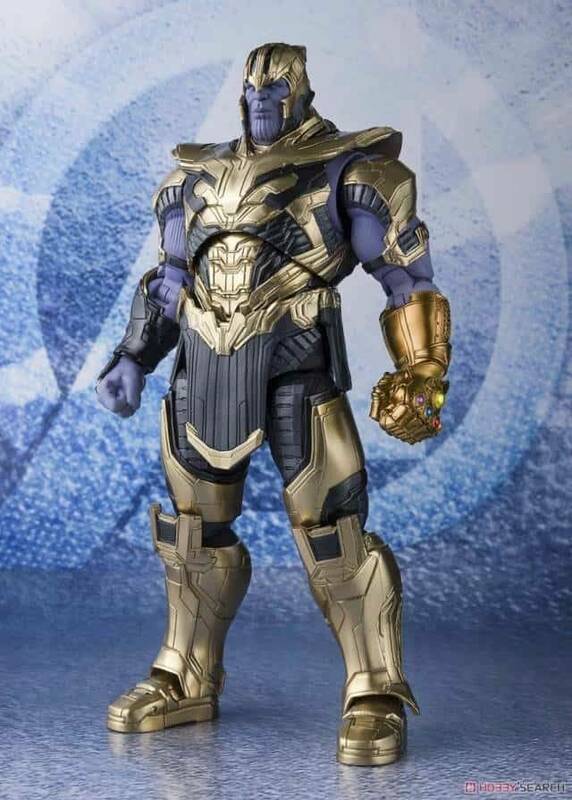 Figure stands 19" tall and includes screen accurate parts, LED lights and more! 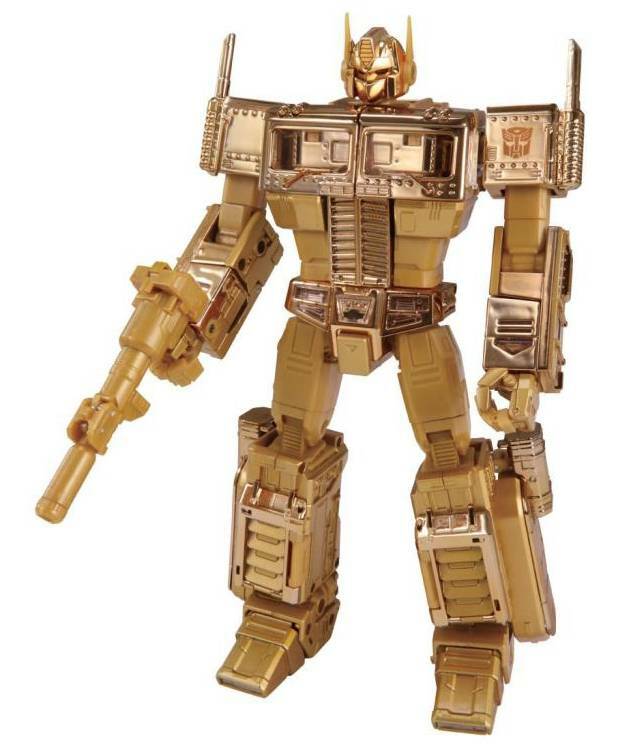 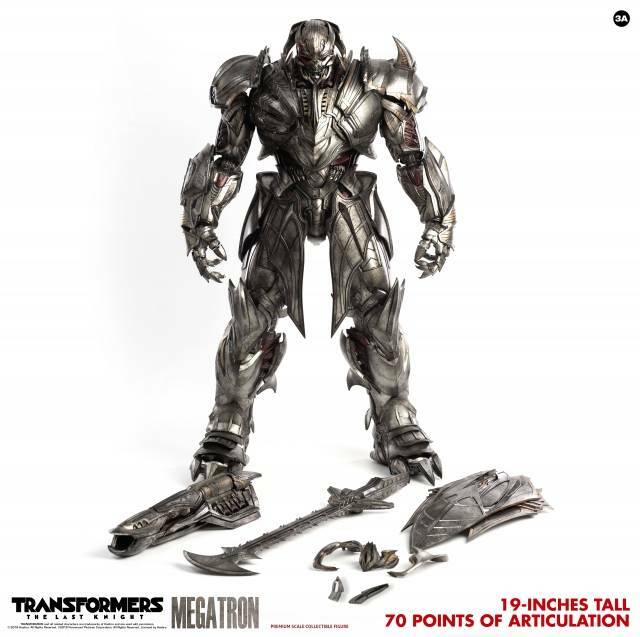 Hasbro and ThreeA proudly present Transformers The Last Knight Megatron collectible figure. 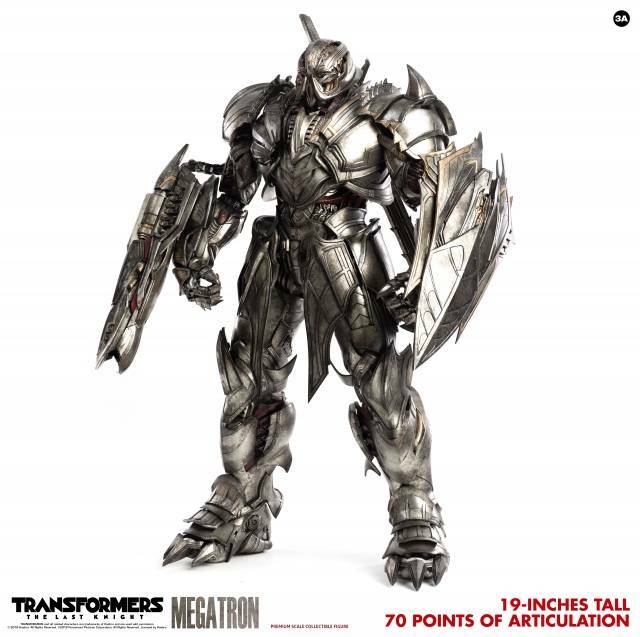 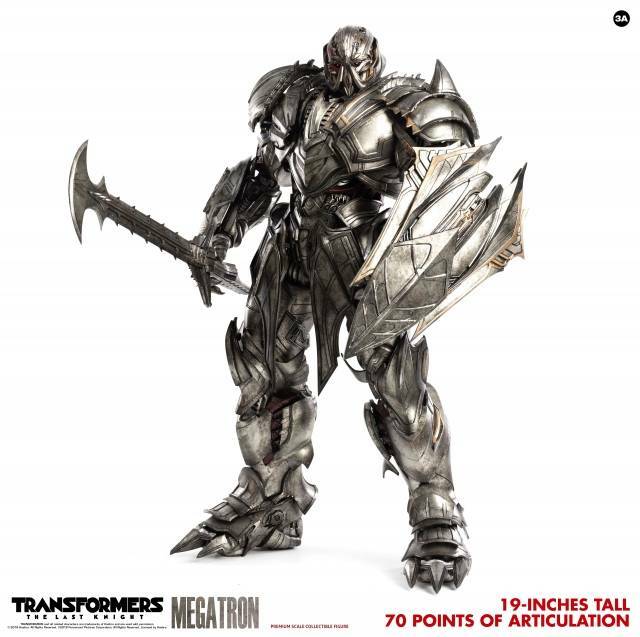 TLK Megatron stands approximately 19" (48.26cm) tall and features heavily weathered paint detailing as seen in scenes of The Last Knight with all new screen accurate parts and LED illuminated details. 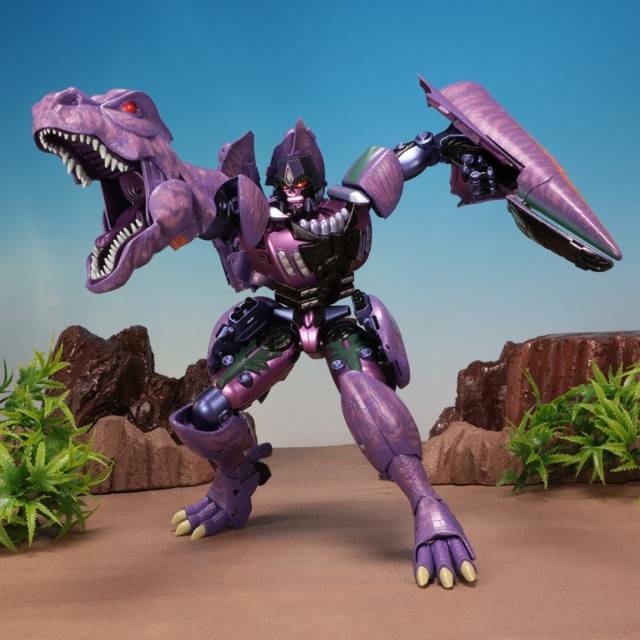 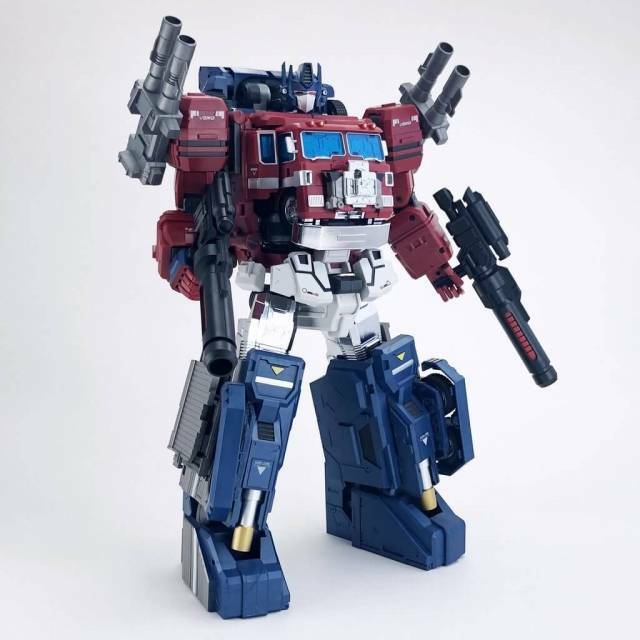 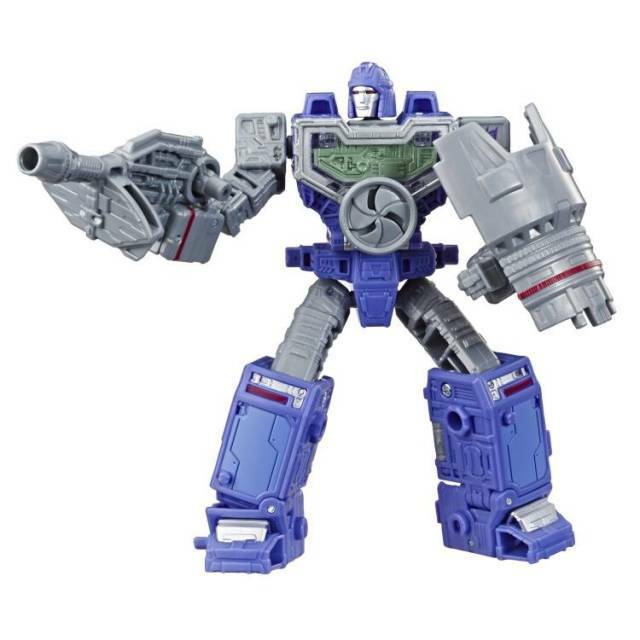 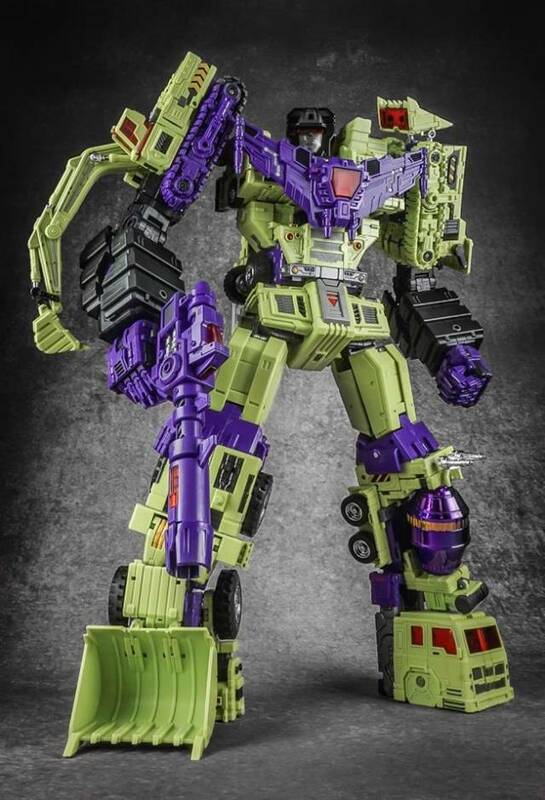 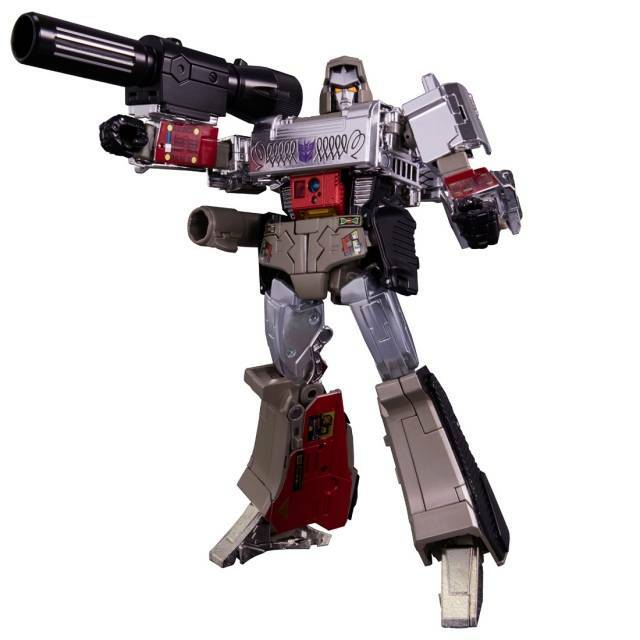 This premium scaled collectible figure of Megatron includes an absolutely massive range of articulation and comes equipped with his brute sword and fusion cannon.